The jewelry you purchase from W.R. 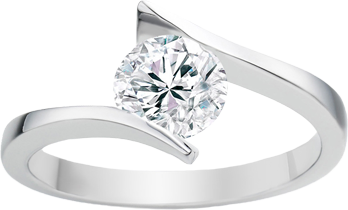 Chance Diamond Jewelers looks spectacular when you first receive it. But how do you keep it looking beautiful? It only takes a bit of routine care. All gems and jewelry – especially the ones worn every day – need a little TLC to stay beautiful. Different stones and metals require different care; however, here are some simple tips for cleaning and maintaining your jewelry. Even though they’re the hardest substance on Earth, diamonds can be chipped, so it’s important to have a jeweler inspect them once a year. If possible, avoid wearing your diamond jewelry to the gym or to other locations where they may be subject to harsh physical conditions. Take special care with your diamond ring around water, as it can become loose and slip off. 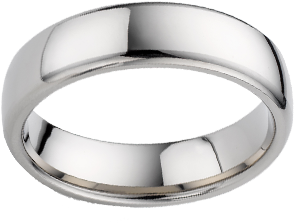 And try not to wear your ring in chlorinated water, because chlorine can eventually damage the metal in the setting. Clean your diamond regularly. A simple plan to keep your diamond jewelry looking beautiful is to soak the diamond in an ammonia-based jewelry cleaner overnight, once or twice weekly. In the morning, remove the diamond from the cleaner and brush it with a soft, clean toothbrush to remove any leftover dirt. 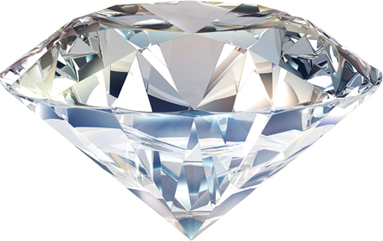 Take extra care to brush the back of the diamond as this will be the area that has collected the most oil and dirt. Finally, don’t store your diamond jewelry next to other jewelry pieces because it can scratch other pieces. A fabric-lined jewelry case with separate compartments is ideal, but you can also keep it in a separate pouch or wrap it with in soft fabric or tissue paper. Prongs can wear thin and diamonds may fall out. Chains and pearl strands weaken with wear. Let us professionally inspect and repair your jewelry every six months to ensure it stays in top condition. Chlorine can weaken gold. Avoid wearing in swimming pools and hot tubs.